Professor started training in the art of Brazilian Jiu-Jitsu when he was 18 years old. He has trained with and learned from many great instructors including Renzo Gracie, Rodrigo Gracie, Matt Serra, and Nick Serra. His Main instructor being Matt Serra. Professor Joe was promoted to black belt in 2005 by Renzo Gracie and Matt Serra(first black belt given by Matt)Professor Joe now continues training and learning from the great instructors of the Legendary Gracie Barra Team. In 2014 professor received his 3rd degree black belt from master Carlos Gracie Jr. He has competed and won many Grappling, Jiujitsu, and MMA competitions. Professor now uses that experience to pass knowledge on to all of his students. I started teaching because I wanted to give people the same opportunity i had to gain all of the benefits of brazilian jiu-jitsu. I like seeing jiu-jitsu change peoples lives for the better. 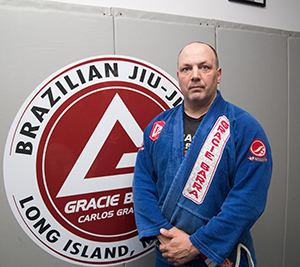 I enjoy Gracie Barra Long Island because we are like a family. When ever I come to the academy teach or train, it feels like home. 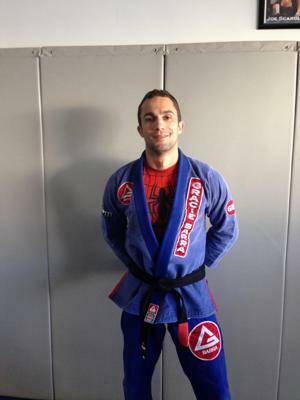 Gracie Barra believes in Brazilian Jiu-Jitsu for everyone and so do I. Regardless if a student is an aspiring competitor, MMA fighter, or just an average person looking to get in shape and learn tactics to defend themselves, the value of Brazilian Jiu-Jitsu is immeasurable. I consider myself fortunate to be able to pass along the gift of these teachings to others. I have been training at Gracie Barra for a little over 8 years and in that time i have come to appreciate the way i have learned and progressed through the ranks. I feel it is time to give back and teach what was taught to me to the new students here at Gracie Barra long island. Training at Gracie Barra is such a great place, it caters to the needs of each individual person. I was looking for a school that i could train hard and get ready for competitions and because of quality of the instructors and the students i found this to be the perfect school. I really enjoy inspiring students to be better people through the practice of Brazilian Jiu Jitsu. It's amazing to see students that you have taught and contributed to, develop and overcome adversity in training. I have always enjoyed sharing what I have learned over a lifetime of Martial Arts training, and GB Long Island has such a great atmosphere for teaching and training. Being at GB Long Island makes it pretty easy because you are surrounded by a bunch of motivated teachers and students with a constant desire to improve themselves and others. 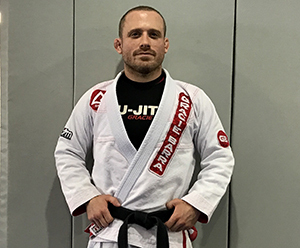 I wanted to become an instructor because what I enjoy most about jiu-jitsu is the fact that technique beats strength, and being able to share these techniques is a privilege. What I like most about the atmosphere at GB Long Island is the camaraderie and family environment that it offers. From the first day that I started training everyone was super nice to me and always looking to help me improve my jiu-jitsu. Additionally I'm a huge fan of the curriculum because it offers a well rounded balance of self defense along with jiu-jitsu for sport and competition.